The studs have cut out patterns which compliment each piece of the Odyssey collection. 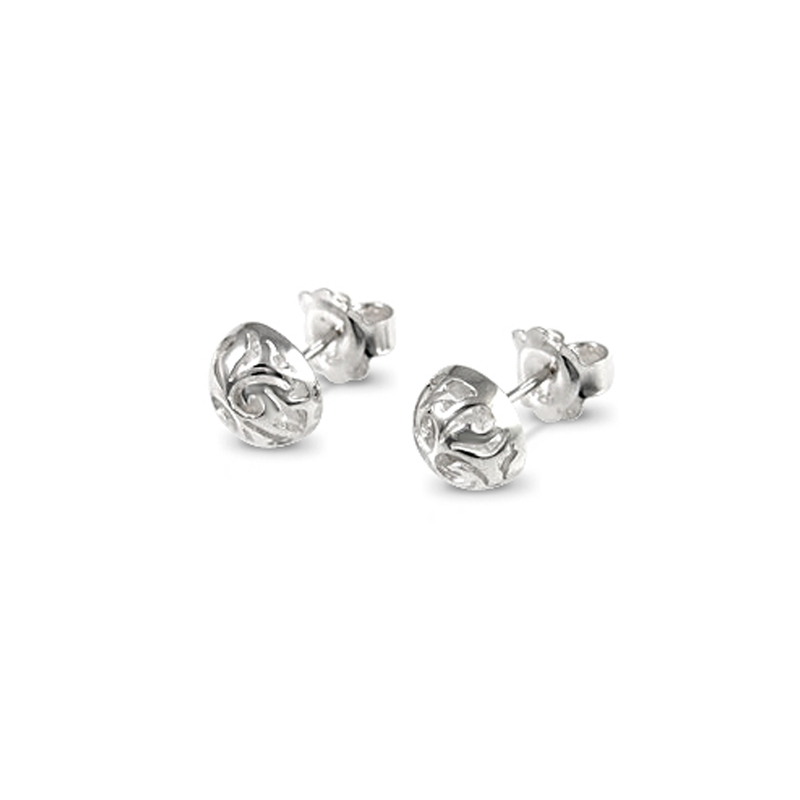 The cut out pattern is featured in the dome and also the back plate of the stud, creating an intricate and delicate stud. 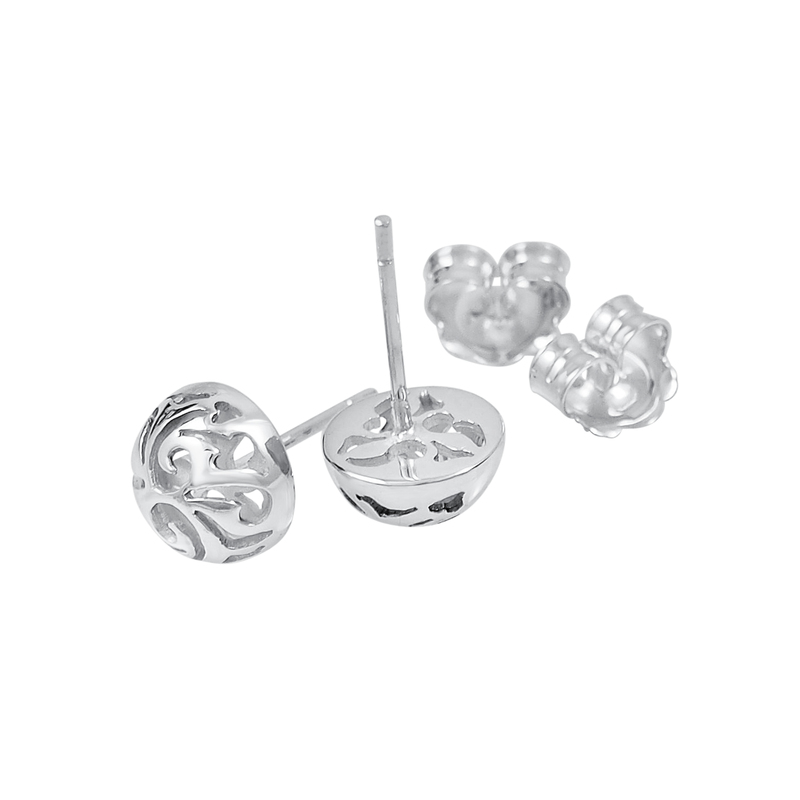 Stud diameter = 8.5mm. Stud depth = 4.3mm. 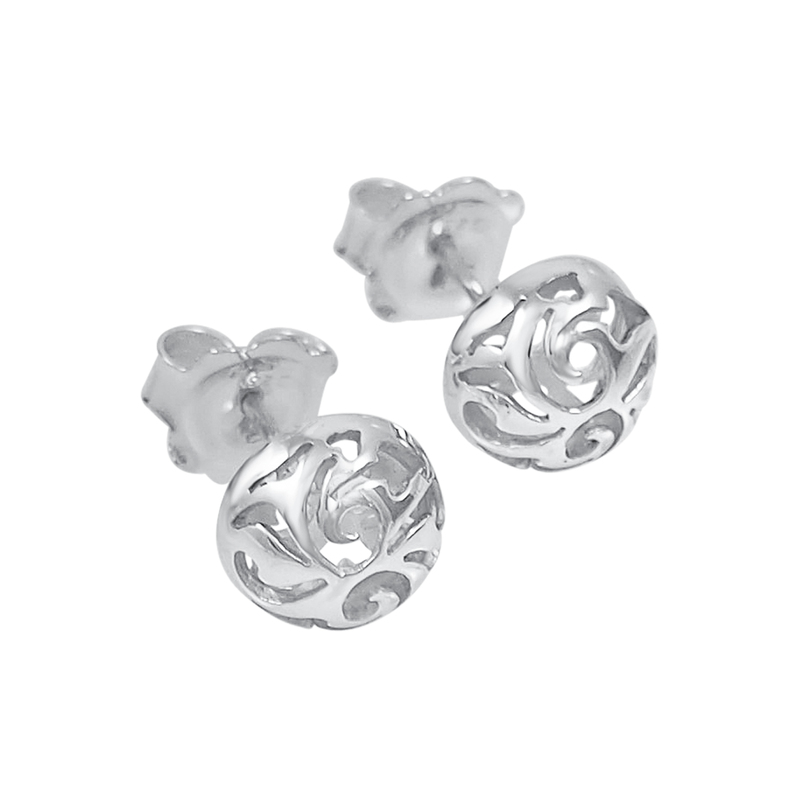 Each earring comes with silver butterfly backs and has a highly polished finish.